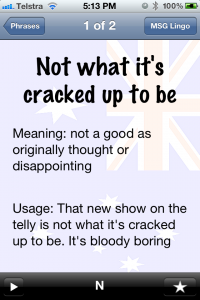 The language used day to day by Aussies is unique, colourful, extremely amusing and often indecipherable to those not native to the land down under. 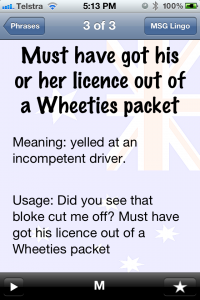 Aussie Lingo Audio Companion – (Australian Slang Dictionary with Audio) contains over 400 fun uniquely Australian slang words and phrases each with an explanation of their meaning and a professionally recorded and produced audio example of their usage. 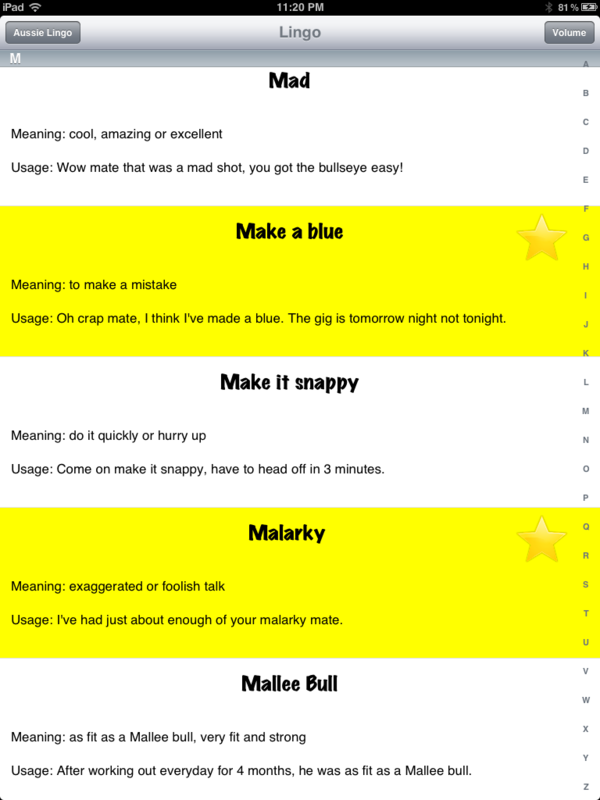 It’s pretty much an Australian dictionary of slang with audio examples! 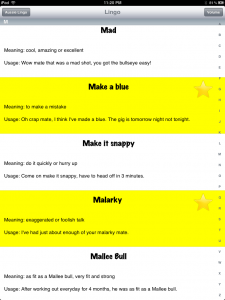 Whether you’re traveling or moving to Australia and want to sound more like local or just want to have fun exploring the colourful lingo we use, Aussie Lingo Audio Companion – (Australian Slang Dictionary with Audio) has you covered mate. 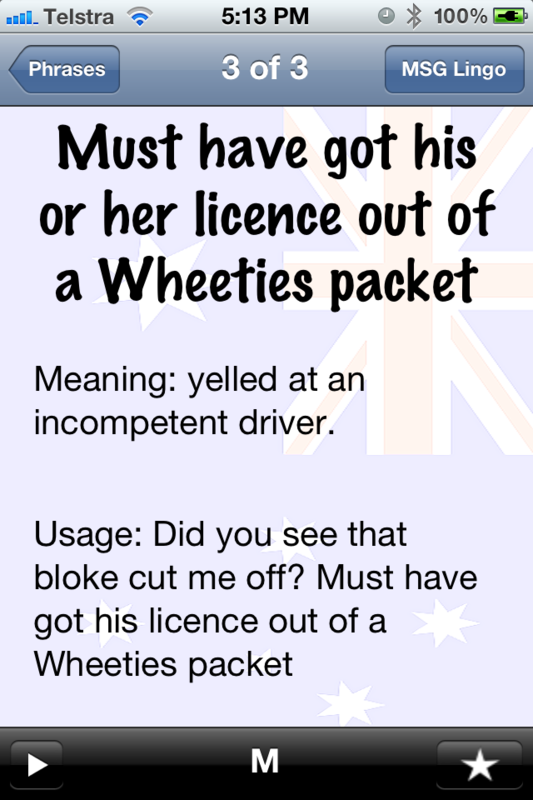 Aussie Lingo Audio Companion – (Australian Slang Dictionary with Audio) was developed in Australia by Australians and all in all is a bit of fun. 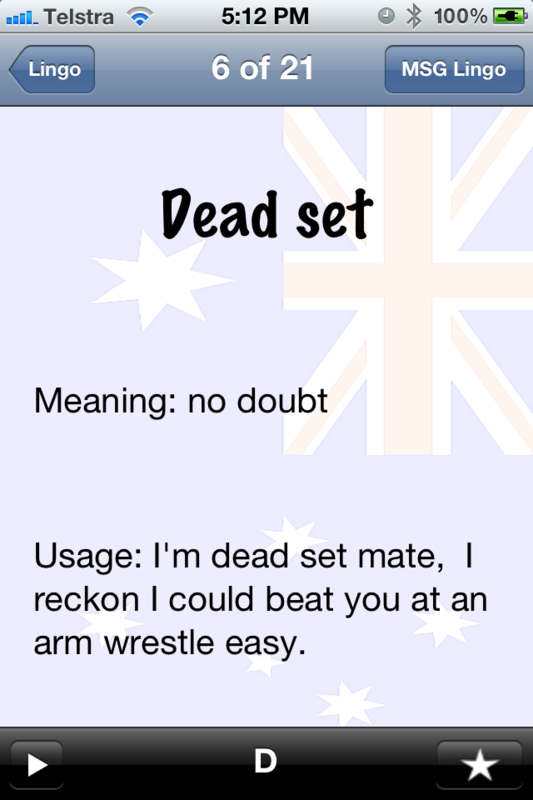 Aussie Lingo Audio Companion – (Australian Slang Dictionary with Audio) also enables you to: mark lingo as a favorite for easy recall, search for lingo to find the prefect bit of lingo for the job and submit your own lingo directly via the app. 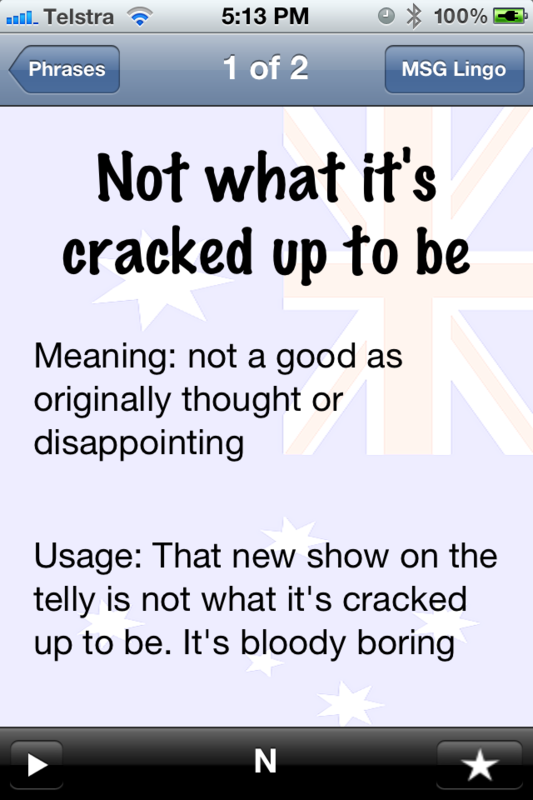 Aussie Lingo Audio Companion – (Australian Slang Dictionary with Audio) is available in the iTunes app store now! you can view the app on iTunes by here! When you gonna release an android version? That’s Totes Awse… if not Fully Sick Mate! Thanks Zoe! 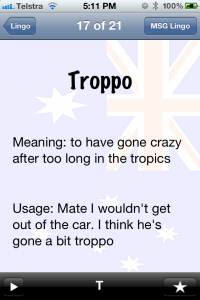 Hope you’re heaps good? It’s been bloody yonks! How’s it going? Can u make this for android phones please? I don’t like the versions they have on google play. And if u can pls update with more like a translator if possible. Thx!!! 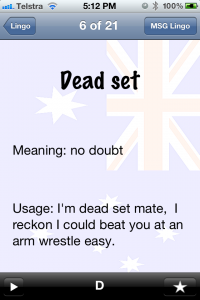 The android version of Aussie Slang is now in the play store! There is no such app on android. They are all much less good. When do you make it available for Android please??? 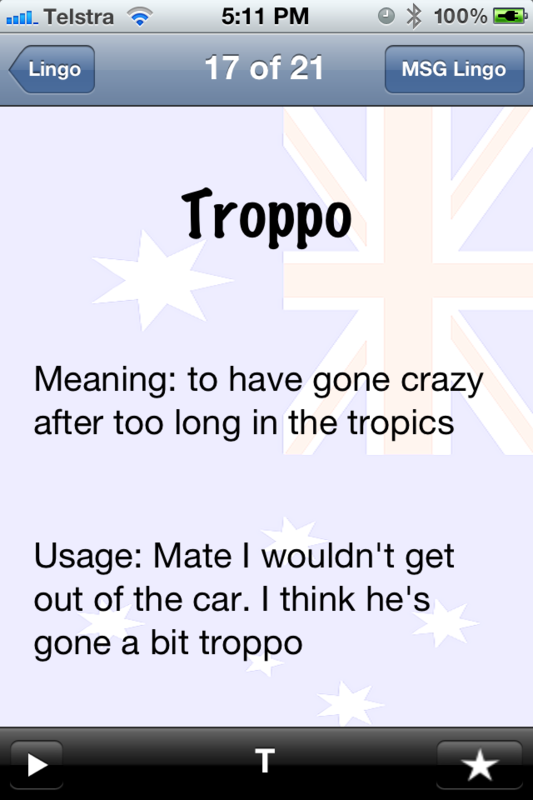 Thanks Sandy now I have the Aussie lingo app in my iPhone. Nice work mate.